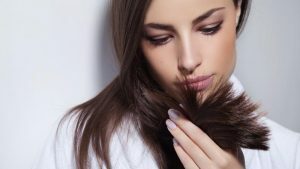 Hair loss among women is a common problem and women suffering from hair loss are constantly under risk. There have been many solutions to this in the past, but in this advanced techno world where life is depended on so many artificial hair utilities or products; it has become very difficult to rely and trust on any brand. Elita Company produces various natural products for treating problems for both men and women. They have products to give solutions to many hair related disorders such as dry hair, dry scalp, hair loss, baldness for women or men, etc. Elita is a complete hair solution store that provides natural organic and herbal extracts. They have specialized in hair loss treatments for women and have obtained a certification in producing cruelty-free shampoos. Yes, these products are free from chemical, artificial colors or odor, free from side effects, free from petrochemical substance, etc. Nurtured proficiently with natural plants and organic methods many have found loss solutions and are happy using Elita cruelty-free hair products. Apart from producing products for hair solutions, Elita also enlightens everyone about the knowledge for the cause of hairs loss in women. This is the scoring point of the Company because it explains the cause, effect, and solution to the problem. Women who buy this product can treat their hair loss easily at their homes without any expert’s help. Yes, all one needs to do is buy cruelty free hair products from Elita.